Adjustable design for young martial artists learning to properly tie their belt. 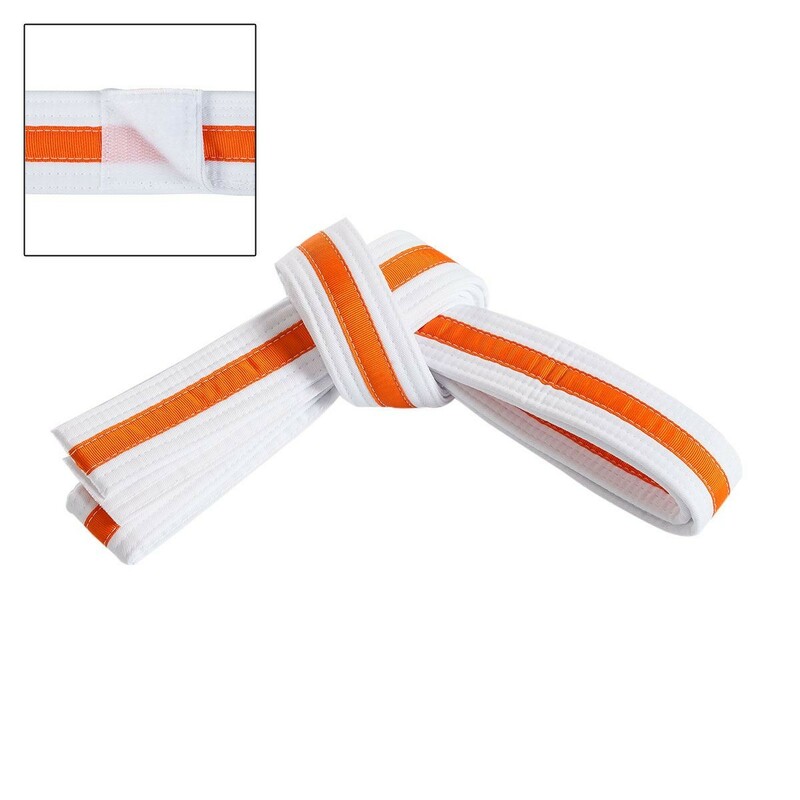 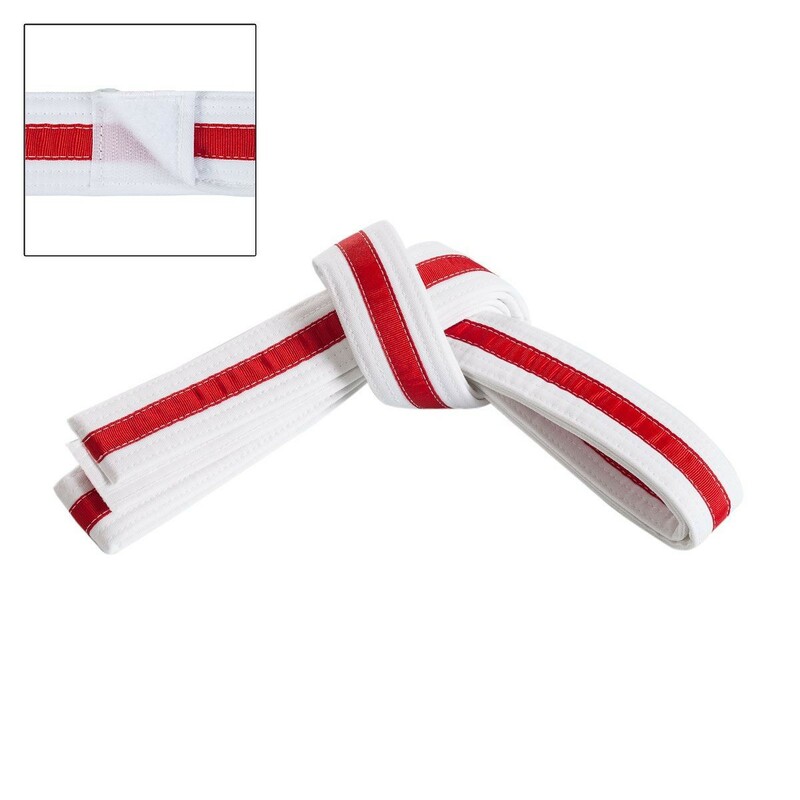 This classic adjustable, cotton/polyester middleweight belt is accented with a 1/2 inch colored stripe for special recognition. Includes six rows of stitching.